Welcome to our web site ("www.missoni.com"). These General Terms and Conditions of Use are governed by Italian law and in particular by Legislative Decree No. 206 of 6 September 2005 on the Consumer Code, in Chapter I “Consumer rights in contracts” and govern the access to and use of www.missoni.com. 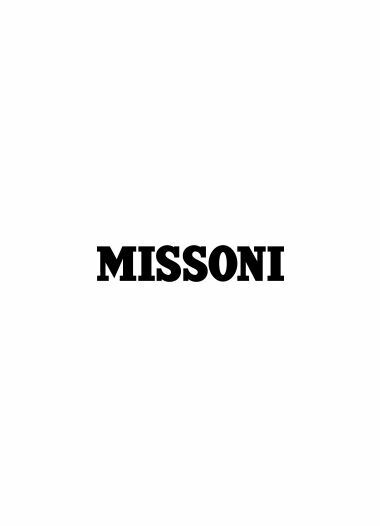 The access to and use of this web site as well as the purchase of products on www.missoni.com are based on the assumption that these General Terms and Conditions of Use have been read, understood and accepted by you. This web site is managed and maintained by YOOX NET-A-PORTER GROUP S.p.A. (“Provider”), company with sole shareholder subject to direction and coordination of Compagnie Financière Richemont S.A., with registered office in Italy at via Morimondo, 17 – Milano 20143, business register number, tax code and VAT number #VATNUMBER#, fully paid share capital of EUR 1,384,207.41. Request for further information can be made through our ‎Customer Care‎‎. If you need any assistance, go to the ‎‎Customer Care area‎‎, where you will find information on orders, shipping, refunds and returning products purchased on www.missoni.com, a registration form, tips and other general information on the services provided by www.missoni.com. Missoni and/or Provider shall have the exclusive right to authorise or prohibit in their sole discretion any reproduction, publication, distribution, display, modification, creation of derivative work from, or exploitation in any way of, in whole or in part, the Content. Missoni and/or Provider shall have the right, at any time, to claim the authorship of any Content posted on this Site and to object to any use, distortion or other modification of such Content. Any reproduction, publication, distribution, display, modification, creation of derivative work from, or exploitation in any way of, the Content expressly authorised in writing by Missoni and Provider shall be carried out by you for lawful purposes only and in compliance with all applicable laws. Moreover, the Provider cannot guarantee that the web site will operate continuously, without any interruptions and errors due to the connection to the Internet. In the event of any problem in using our web site please ‎contact our Customer Care‎‎ or visit our ‎‎Customer Care area‎‎. A Provider representative will be at your disposal to assist and help you to restore your access to the web site, as far as possible. At the same time, please contact your Internet services provider or check that each device for Internet connection and access to web content is correctly activated, including your Internet browser. The dynamic nature of the Internet and web content may not allow www.missoni.com to operate without any suspensions, interruptions or discontinuity due to updating the web site. The Provider has adopted adequate technical and organisational security measures to protect services on www.missoni.com, integrity of data and electronic communications in order to prevent unauthorised use of or access to data, as well as to prevent risks of dissemination, destruction and loss of data and confidential/non confidential information regarding users of www.missoni.com, and to avoid unauthorised or unlawful access to such data and information.